Styled with chalmers sweater . 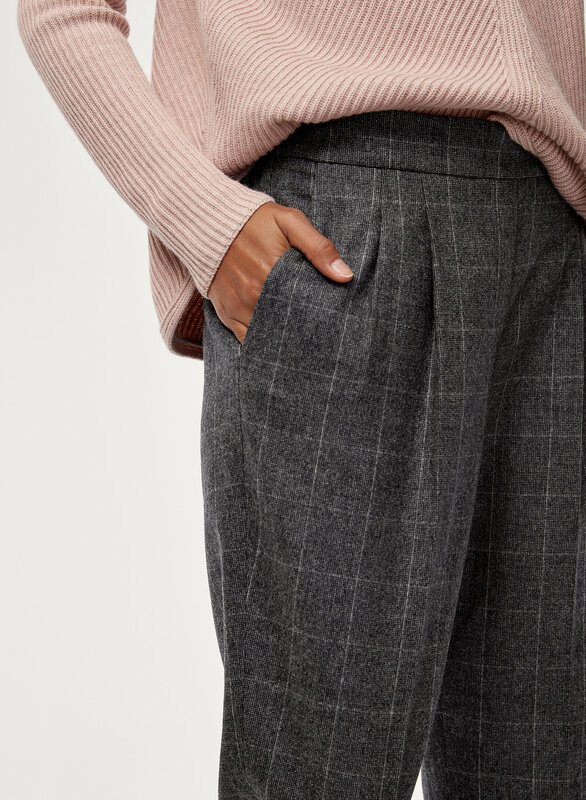 LOVE these pants in wool. I have a couple other pairs of Cohens in different fabrics, and they are all so extremely comfortable and cute. I ordered both a 0 and 2 to compare, and ended up keeping the 2. They both fit great in the waist, but 2 had a better shape to the legs - the legs on the 0 were just a bit tighter than I wanted. I do find that these run a bit larger than the size chart. According to the chart, I should be a 4. I'm 5'3" 120 for reference. I have these pants in 3 colors/patterns. The cut is very flattering, they are comfortable and not itchy. They are a regular in my winter office wardrobe! Fit was precise, as if it were tailored for my wife. She loves it. The how does it fit scale below is screwed. 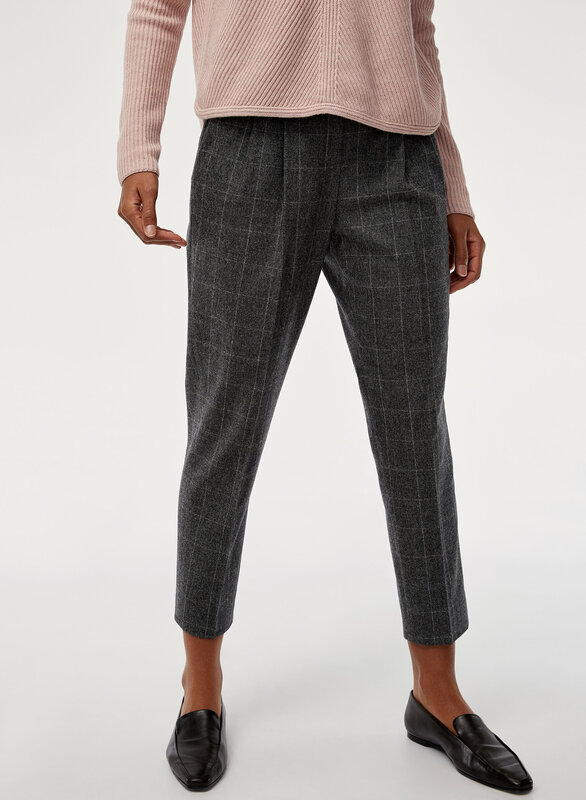 These pants feel soft and cosy; I only wish I could wear them, but have to delay that pleasure as I have just broken my right femur and damaged my knee. I now have to wear my Aritzia jogging pants. I may have to buy another pair as I may be in a brace for a few weeks. 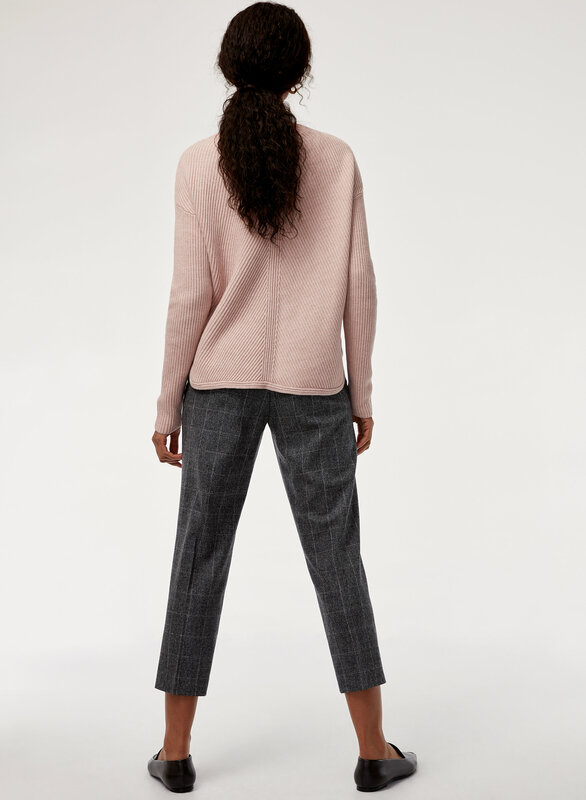 I keep looking at all my Aritzia clothes in my closet and look forward to being able to wear all of them again. 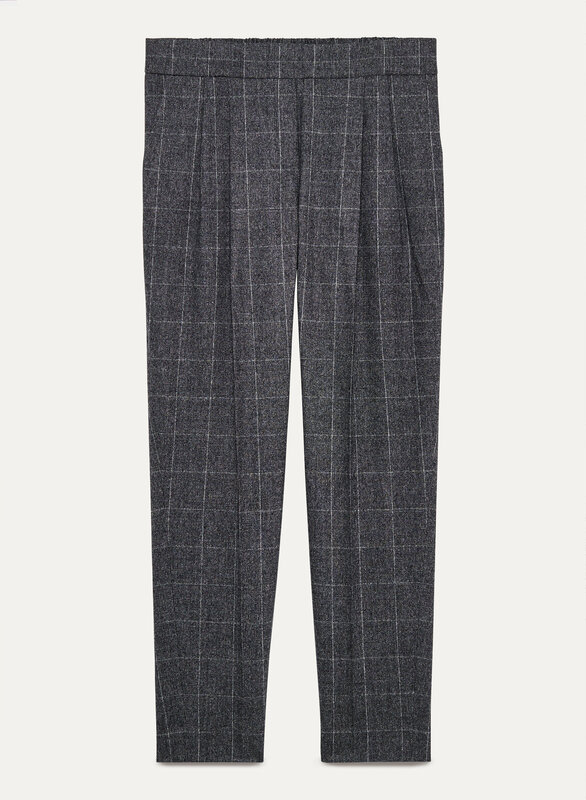 These pants are so versatile- can be dressed up for work or down with sneakers. The ankle length is perfect (I’m 5’2”) I love the waistline and the elastic on the back however the front waist part gets a little loose after several wears. I found my Cohen's to be much baggier in the front area, and wish I had known this prior to ordering them online. I would recommend purchasing one size down!